Sometimes, people just aren’t thinking when they decide to put an image on their product or their store. When they don’t think, accidents can and do happen, and it is these pictures or words that often turn out to be a hilarious mistake. 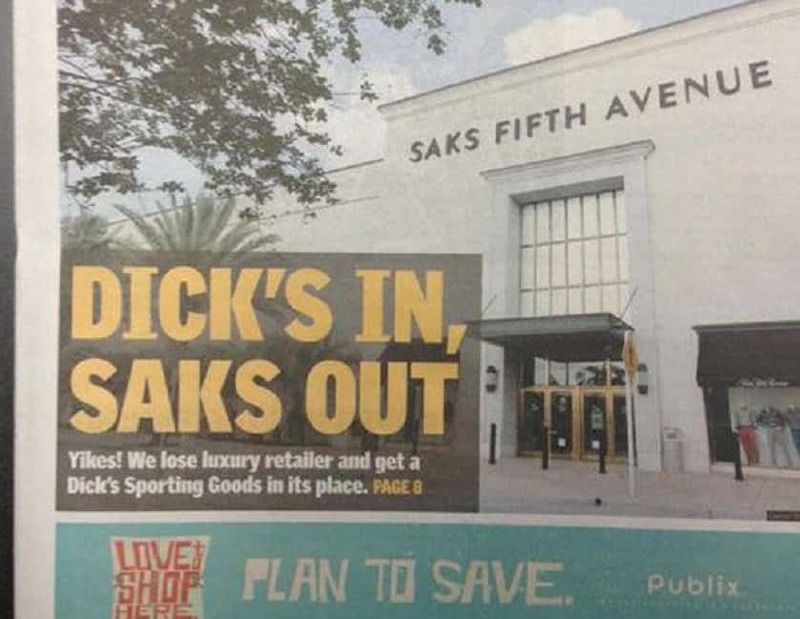 Whether it is the positioning of the image, the placement of the text or the font they chose, the end result can be a hilarious fail. Well, we’ve gathered ten of these in this list, and you’ll be asking yourself what these people were thinking, while trying to hold back tears of laughter. This is one of those photos that will make you blush, until you take a second look at it. The woman’s just loving on her dog! Sometimes you just have to wonder what the people who make these pictures are thinking. 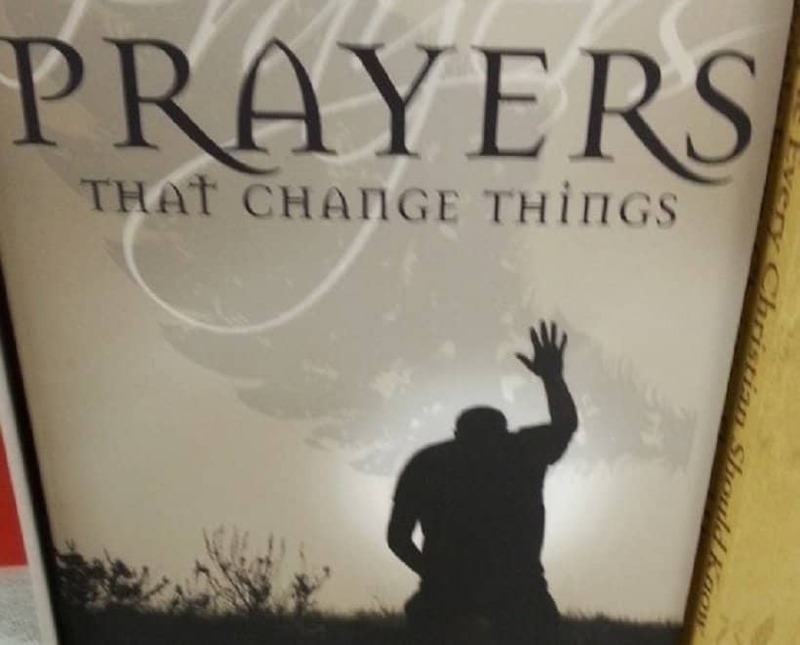 We also wonder what he’s actually doing. 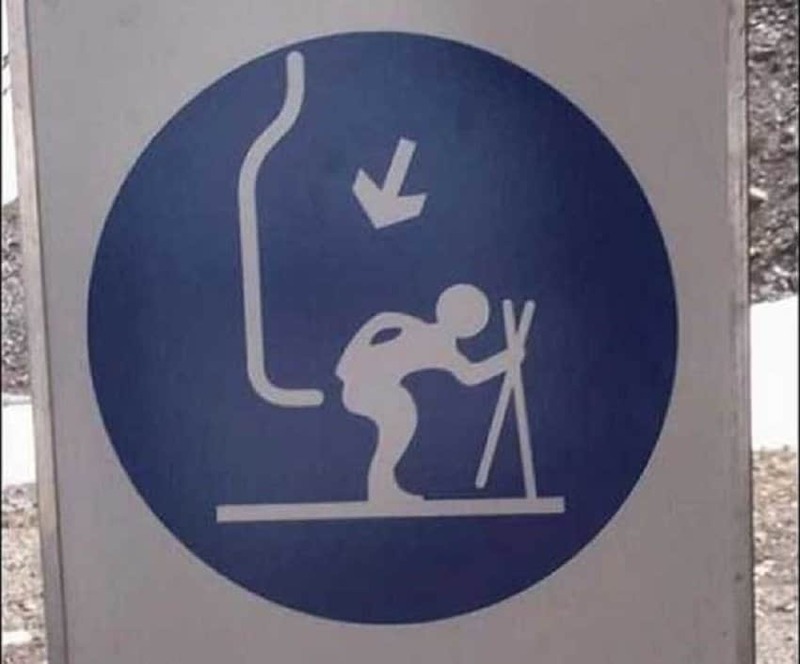 The best part about this picture is the person who painted it just had to add about two inches to what’s supposed to be the chair and nothing would be wrong here. Which leads us to believe it was intentional. Sure the architect could have double checked the shapes, but really this appears to be something that would be hard to foresee. 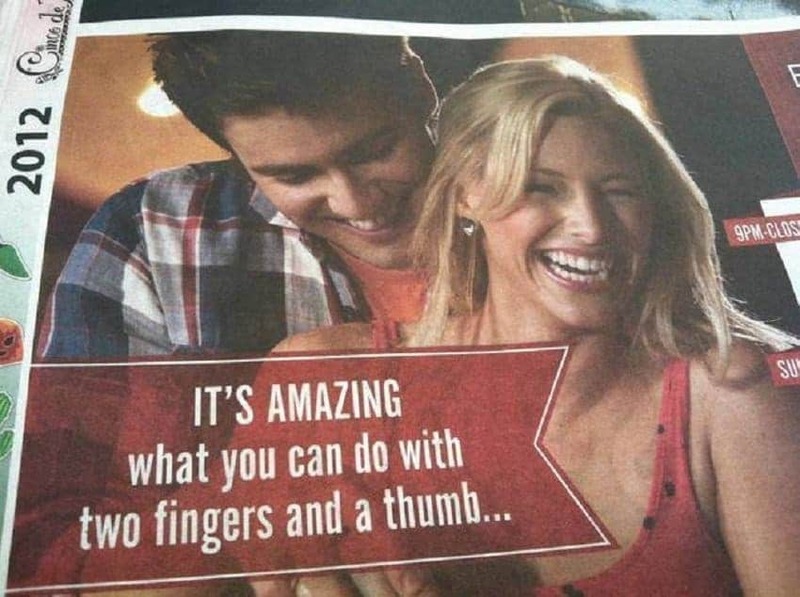 What is it that you can do with two fingers and a thumb … other than the thing the newspaper ad couldn’t possibly have meant. There’s just no way the people who packed this playset didn’t notice how they had packed it. It’s just not possible. Which makes it awesome. 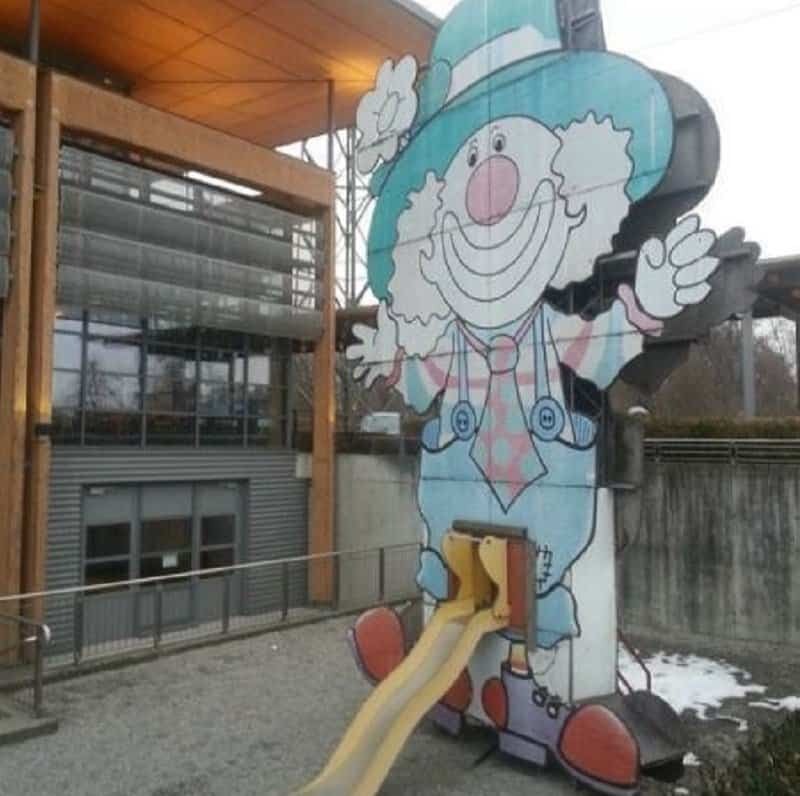 We imagine the workers who built this slide were laughing and laughing the whole time, while the person who designed it stood by and asked them what they found so funny. Over and over. 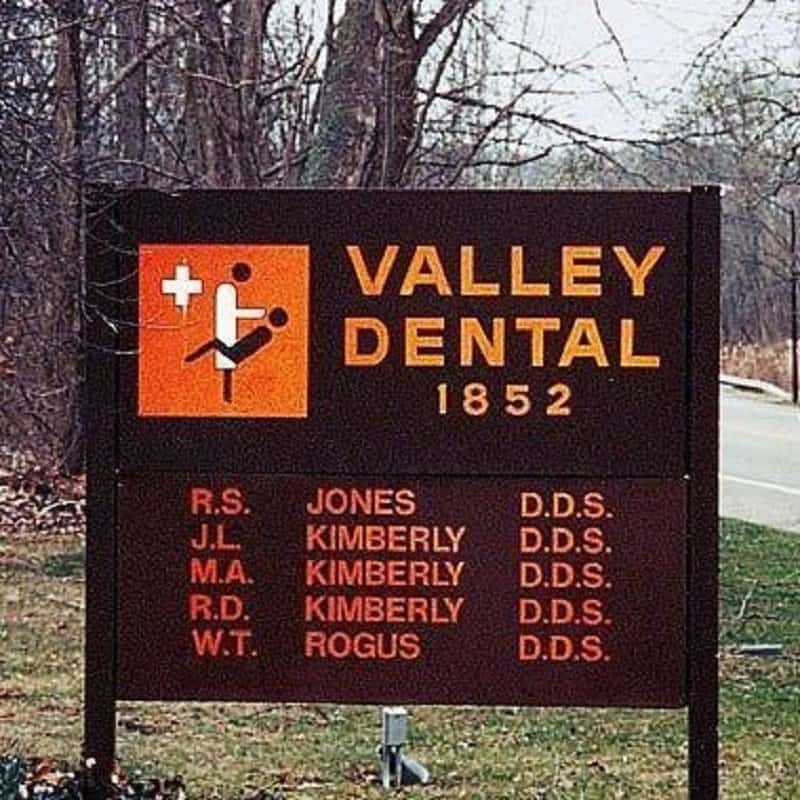 It appears Valley Dental has some very specific clients … we meant patients. 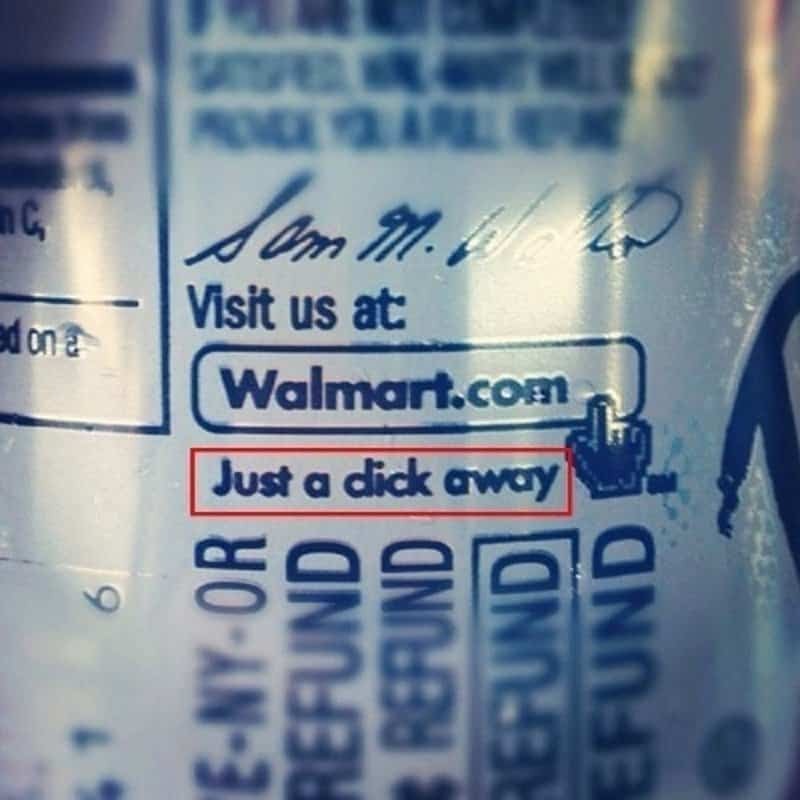 The writing on this bottle illustrates the importance of making sure you select the right font for your products. The label doesn’t say what you think it says. The best part about this headline is you just know, the person who wrote it knew exactly what they were doing.